Haven’t written in a while but I am still here. 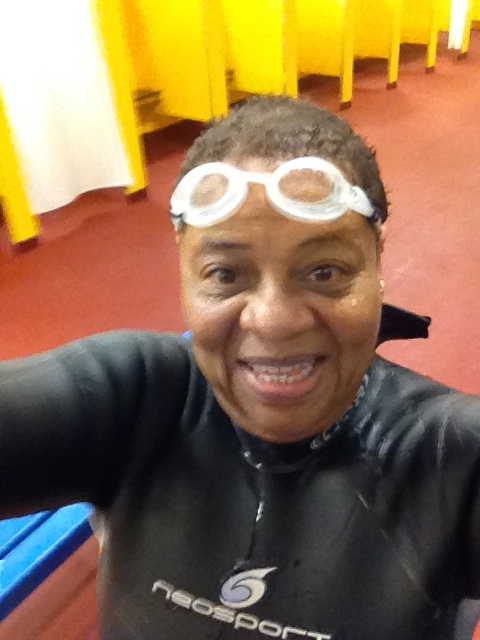 My very first Sprint Triathlon is scheduled for August 3, 2014 and I am getting ready in my head. Now you know that I have talked about this for a long time. First steps were hard. I spent the winter having an on again off again swim season. Our pool was down for some time and I was lazy when it was up. I found out that stamina leaves in a short amount of time. It’s May and I’m really not ready to do the 300 yds yet. On top of that I bought a bike two weeks ago and had to deal with my serious fear of riding. I have been on the bike a few times but there is still a lot of work to do there. I had a needle in my knee yesterday and hope that after the three shot series I will have less pain in it which will make walking easier. I will be walking the 5K part of the Tri’s. Anyway I’m back and will be talking about my road to Triathlon in the upcoming days. What are the best Goggles? This blog has taken a turn and probably this year I will be spending a lot of time on my athletic activities. Hope I don’t lose some of you. Anyway who knew that there were different types of goggles for different types of swims. Okay so some people knew but not me. In my new Swimmer magazine there is a goggle review article. Apparently some come off when you dive or do a fast flip turn (not issues for me) or when you’re swimming a fast race. Good grief. My goal is to get goggles that don’t fill with water or sit too close to my large eyeballs. You don’t want to think about them once you start to swim. The beauties listed below Speedo F3 Elite lists for $75.00! Everything has its price. Can a Swimmer get a Break? This is what I should have seen this morning. Today was the day that the roof was rolled back for the summer. Instead it has rained most of the day and the forecast calls for more of the same for the rest of the week. I actually go to sleep thinking about my freestyle stroke. I still don’t have the best stroke but I have visions of a much faster and certainly better stroke. I am going to my first swim clinic with Karlyn Pipes-Neilsen next Saturday and I couldn’t be more excited. My coach is great and has taught me a lot and I figure that anything I learn from the clinic will enhance what he has taught me. Execution and thought are not always in sync and there is so much to remember. Well anyway when I think about swimming, I’m not thinking about anything else. My journey continues. My team members have been MIA this week. I have been swimming alone. It’s okay because I have a goal and since no one can help me accomplish it, I don’t mind practicing alone. Not that my team is not important to me because they are. They are my biggest supporters and have become an extension of my family. I just have to be careful not to use them as a crutch or an excuse. Every day I come to the pool with a plan and I have to follow that plan no matter what. I just sent an email to everyone asking that they just let me know that they are okay. They’ll be back. I’ll be waiting. How Many Yards in a 1/2 Mile? 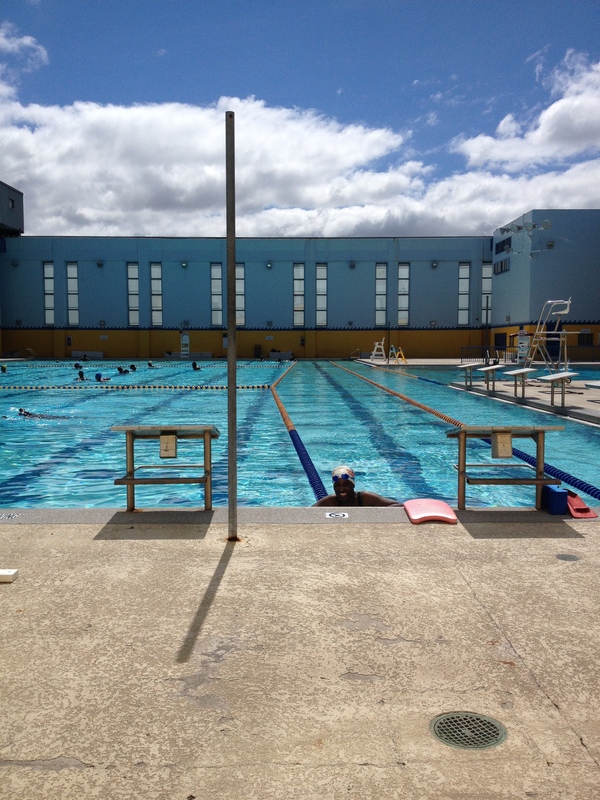 880 yards, rounding up 36 laps of my practice pool. This is important to me because I intend to do the Danskin triathlon in September. Thirty-six laps omg. Right now I am sputtering on two laps wearing my zoomers. Well I just have to keep trying. 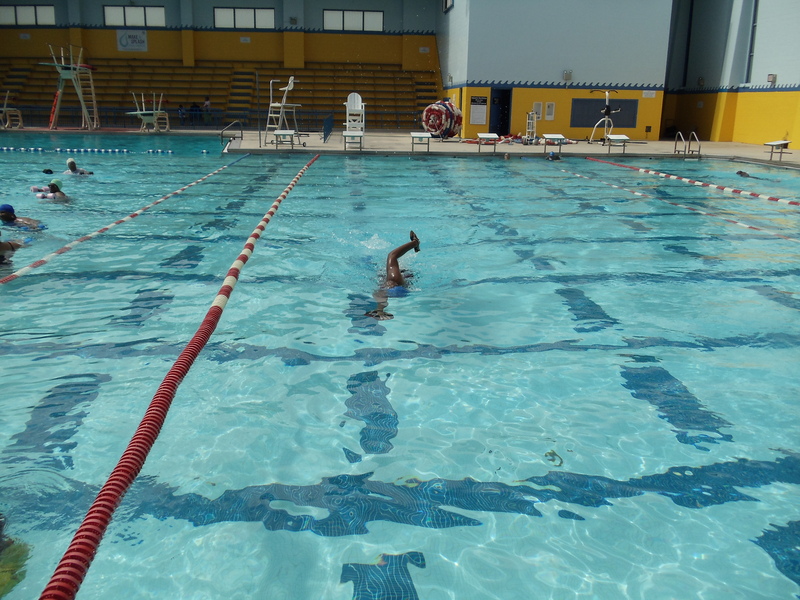 The last few days I have begun to count my strokes (thanks Yelena) and for the first time I am making a lap without freaking out and thinking that I’m out of air (cause I’m not) So I believe that I will be able to swim more than a half mile by September. We’ll talk about the open water freak out later. Those are not Bible verses. They are my swim times this morning. So this was the first time Coach Corey timed me. It was so sad. Anyway here is a beginning point. 38 seconds freestyle, 49 seconds back, 1:02 breast. I refuse to attempt the fly. Did I mention that these sad times were for 25 yds? Well now I know what I have to do and every day that I am in the pool I will do my best to improve these times. Maybe I won’t be competitive in the near future but I will get there. Swimming is in my blood now.